A huge thanks to everyone who donated to help replace playground equipment at Flora Hill Park in Colonial Heights, Va. All of you are now officially part of Team Joe. Together the team has raised more than $1,800. That’s a very big deal, and we can’t thank you enough. 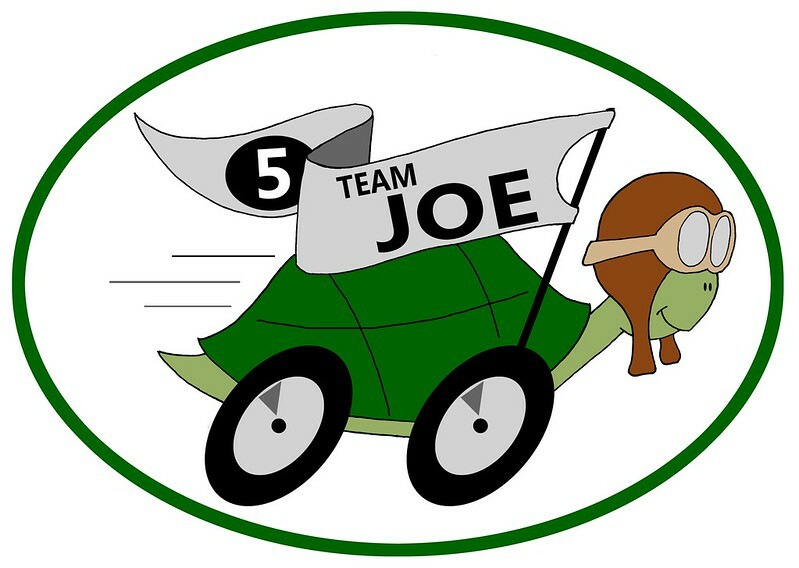 We hope to see many of you for the Sunshine 5K on June 22, and hope you’ll join us for cupcakes right after the run to celebrate a job well done and Joe’s fifth birthday. Here’s our team logo, which will be featured on the official 5K t-shirt.